JAMMU, MARCH 26: Brigadier (Retd.) 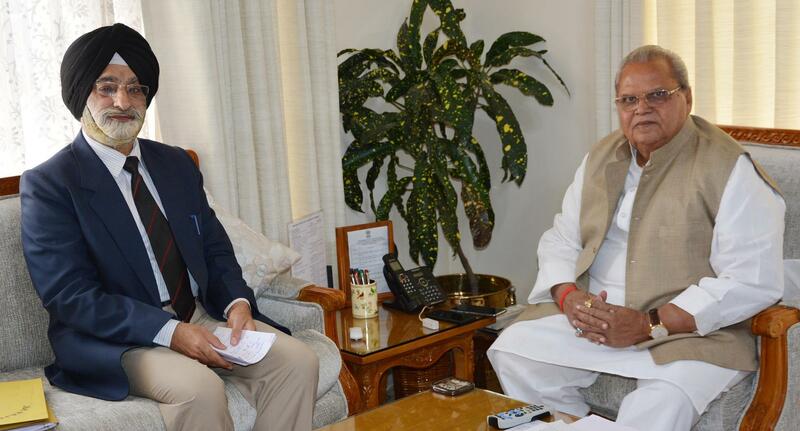 Harcharan Singh, Director Rajya Sainik Board (RSB), met Governor Satya Pal Malik at the Raj Bhavan here today. Brigadier (Retd.) Singh briefed Governor about functioning of the Rajya Sainik Board and discussed issues of urgent administrative importance. He also gave feedback to Governor on various points discussed during the annual RSB meeting in 2018.